How to Apply Spray Fixative. 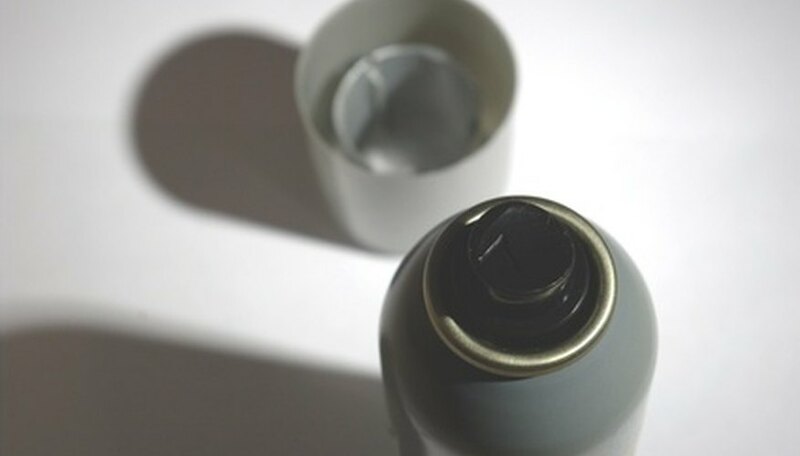 Spray fixatives prevent smearing and loss of particles when applied over various drawing mediums. The final application helps preserve and protect the artwork. Artists debate whether fixatives hurt or help a painting or drawing, so it's a personal choice. Buy a quality spray fixative from your local arts and crafts store. A workable fixative allows the artist to spray and continue drawing over the spray, while a non-workable fixative doesn't. Test the spray fixative with a separate throwaway drawing before applying to your good works. This helps you get a feel for method and application. Consider experimenting by applying a topcoat of fixative to blank drawing paper or some other medium. Pastels affix well to this initial coat. Spray a light mist to contain the upper layer of pastels. Fixatives reduce smearing and protect different layers from mixing when the work needs several layers of medium. Seal the pastels, pencil, chalk, watercolors and charcoal with a final spray. Secure the drawing outside to a table or inside in a ventilated room. Apply quickly, without saturation, from about a 30-degree angle about 1 foot away. Read the can's label for various distances. Spray the fixative horizontally across the piece and let it dry. Then apply it vertically and allow that to dry. Look for archival fixatives containing polyvinyl acetate resin or acrylic with added protection from ultraviolet light. Avoid breathing the hazardous spray. Read the warning label and follow directions. Never spray too long in one area. Chalk becomes transparent and colors darken from saturation. Don't use hairspray as a fixative for artwork.